Thunderstruck is 5 reel, 9 pay line online slots with some amazing graphics and sounds. The God of Thunder – Thor, is your temperamental ruler and he rules over his kingdom with an iron fist. You’ll find Thor throwing lightening belts and flashing objects like his War Hammer. 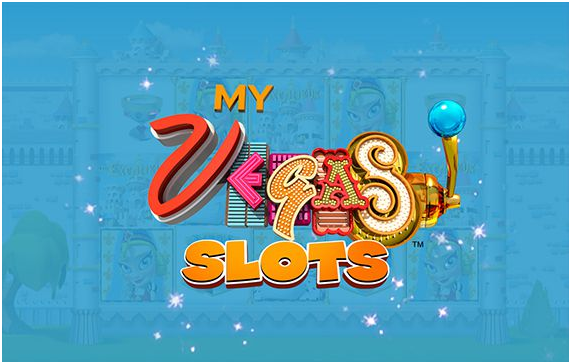 This slots has become one of Microgamings premier games and has fans spread around all corners of the globe. 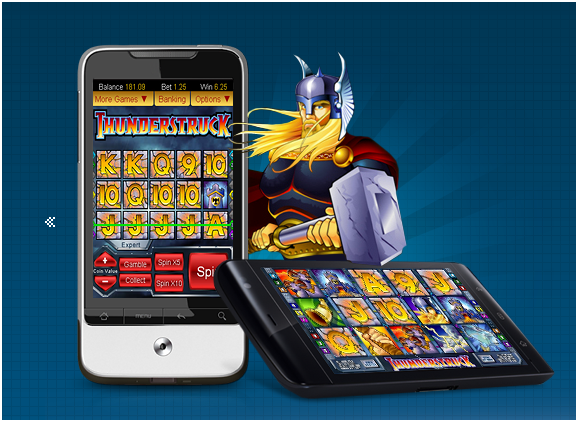 The Thunderstruck Slots centers on Thor, the Norse god of Thunder. Thor, as legend tells, was known to fight his enemies with an iron fist and make use of his ice hammer in treacherous conditions that included thunder and lightning. 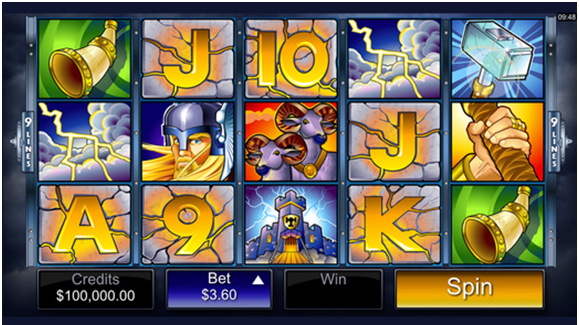 The symbols and décor in this slots game truly convey the legend of Thor with symbols that include his iron fist, the ice hammer, lightning bolts, a bugle and a scary looking castle. You can give this game a try out and play for fun or practice before placing real money bets. Thunderstruck slots game is available at most of the reputed Canadian online casinos. You can play the game even on your smartphones and cell phone devices. Canadian friendly casinos like Maple Casino that offer great bonuses to the players as well as other free games to play. You can deposit and withdraw at the casino with your own native currency that is CA$ choosing from the list of banking options available at these casinos. The Wild and Multiplier Symbol is the Thor character. Have him displayed on your reels and load your bank account with some CAD dollars. Keep your eyes peeled for the Ram symbol which is scattered anywhere on the 5 reel, should 2 or more of them appear. To activate the Free Spins feature you will need to hit three or more Rams. Hit a win and you will launch the Gamble feature, select play and you could double or quadruple your winnings. Show some aggression and get yourself on a winning streak with Thor and Thuderstruck. The “Thor” is a wild symbol. It can substitute for other symbols to complete winning combinations, except it does not apply to combinations that can only be supplied by the Rams (scatter) symbol. The Thor also pays off the most for five in a row across a payline, with 10,000 for five. And when it is a wild symbol, it doubles any win. 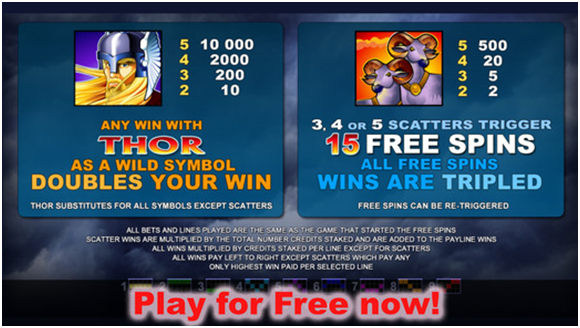 The scatter symbol is the “Rams” symbol, and when three or more of these turn up on any spin it will activate the Free Spins Bonus Game. They can appear anywhere on the five reels. 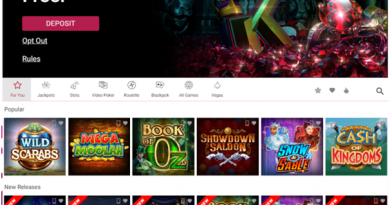 After any regular win, players can compete in the Gamble Bonus Feature. In this process you, as the player, would be confronted with a face-down card, and you can either guess as to what color it is – red or black (right guess will double your winnings) or what suit it is (diamonds, hearts, spades, clubs) which will quadruple the winnings. Three or more of the Rams on the screen awards players 15 free spins where all winnings during the free spins are tripled. The free spins can also be retriggered. Thor on his own offers some incredible winning payouts, two of the Thor symbols on active payline award players 10 coins, three of the Thor symbols on active payline award players 200 free coins. Four of the Thor symbols on an active payline award players 2000 coins and five of the Thor symbols on an active payline award players an astonishing 10000 coins, the highest payout in the base game. Apart from the wild symbol, there is also a scatter symbol, denoted by the rams, Thor’s accompaniment on every mission. Two of the rams on screen award players a 2x multiplier, three of the rams award players a 5x multiplier, four of the rams award players a 20x multiplier and five of the rams award players a 500x multiplier. The rams scatter is also responsible for the free spins, three or more of the rams on screen award players 15 free spins during which all winnings are tripled. As soon as you click the “spin” button, Thunderstruck is launched on your web browser or android device, you can adjust the size of the bet and the number of paylines that will be enabled. 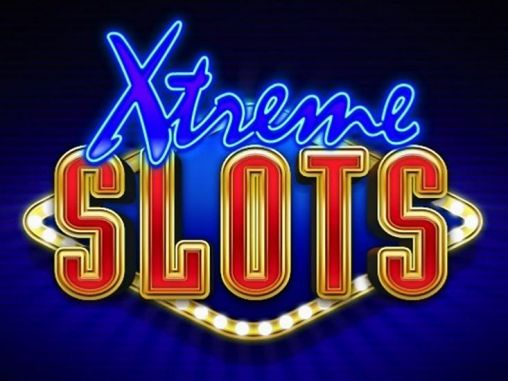 The slots itself allows you to enable up to nine paylines for each game. Even the size of the coin can be adjusted, from .01 to .02 to .05 to .10 to .20 to .25 to .50 to CA$1. The coin size is adjusted by clicking on a minus (-) symbol or the plus (+) symbol to increase or decrease. You can cut through all of this by just clicking the “Bet Max” button that is on the game command menu, which automatically enables all paylines and wagers the maximum amount. You can go and take a look at the payouts at any point, as they are posted on a big graphic display. There is a series of tables that gives you the payoff for combinations including each of the various symbols. The strength of this game, and what gives it its durability, is solid game play, a decently high jackpot (10,000 coins), and a flexibility of coin size that makes it attractive to both high rollers and casual slots fans. You can enjoy this slot game on your Android with the game app or directly from the Canadian friendly online casino.